Every year I have to buy presents for people in my family who already “have everything”. I also buy presents for my neighbors, the teachers at school, and several other random people who are always difficult to find something for. You know what it’s like. We all face this year after year. 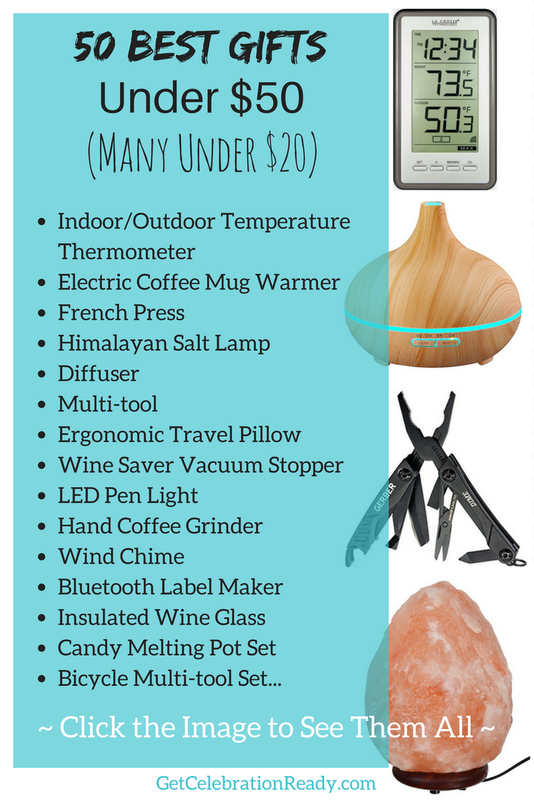 And that’s the reason I came up with this list of 50 best gifts under $50. This is the definitive list for all those gifts you need to buy that you know are going to be difficult to find. Some gifts are more personal but, on the whole, you’ll find plenty of ideas for people outside your family, even when you don’t know what hobbies or interests they‘re into. I’ve deliberately kept this list simple and uncomplicated. There are no full reviews of the products but I think it will be a benefit to you because you can run your eye down the list and see what appeals. The presents on the list can be found online which saves you time and stress rather than shopping retail stores at this time of the year. 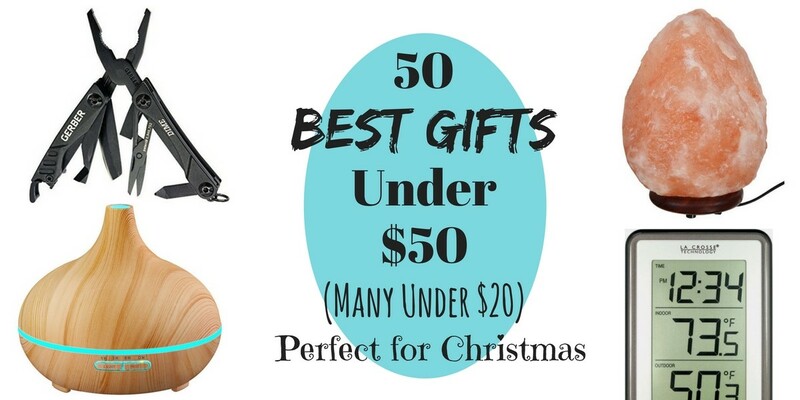 To help you find these best gifts under $50, there are plenty of links provided if you need more information, the products have reviews to help you get an idea on special features. These are the best gifts under $50 for adults. But if you’re looking for gift ideas for children I have a separate gift guide for you. The presents found on this list are not broken down into categories. The reason for this is because many of the ideas can be used for men or women. Many of the gifts also cross over several different themes or hobbies. If you’re looking for something specific please take a look at my other product reviews. I’m buying several of the items on this list for presents this Christmas and I already own some of them myself. I love discovering new products. I hope you find some interesting gifts for your friends and family. Happy shopping! 9 Toilet Night Light – for someone who has everything! I hope you found some interesting and useful presents in this list of the best gifts under $50. Maybe you even found something you like for yourself! You can use this list to give a hint to someone else on what you’d like to receive! Enjoy the holidays. ☑ If you’re looking for Christmas Presents for Kids, check these out, Click Here. This entry was posted in Gifts on October 19, 2017 by Cindy.